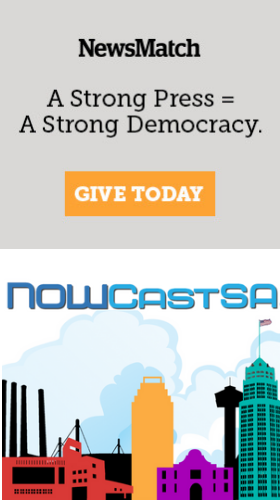 Replay NOWCastSA's webcast of MOVE Texas' production of Saturday Night Live on April 6 at Brick at Blue Star Arts Complex. Don’t have the time or capacity to sit through another tedious candidate forum this election season? Then San Antonio Night Live is the place to catch up on your local election news. The free event featured a night of music and comedy with local Mayoral and City Council candidates sharing their positions, their talents and their vision for the Alamo City. The show was hosted by artist, musician, and community organizer Wayne Holtz. Musician Samantha Flowers provided the music. For a sneak peek at what to expect at San Antonio Night Live, check out our livestream of their 2017 performance. Note: MOVE Texas is underwriting the event's live stream.